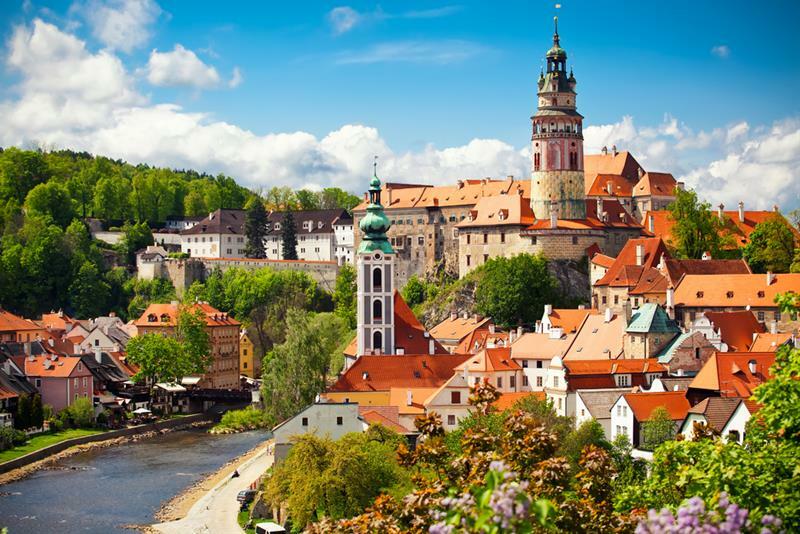 This private tour combines a medieval town of Český Krumlov with a romantic chateau, where many fairy tales have been filmed. Český Krumlov is a scenic town located in Southern part of Bohemia with the second largest castle in the Czech Republic. The mighty Rosenberg family, the Dukes of Krumlov ruled this town for over 400 years, a period during which Český Krumlov was transformed into one of the most beautiful towns in Central Europe. You will be fascinated by the scenery and breathtaking views, which combine to make it a Unesco World Heritage site. Together we will explore the Český Krumlov picturesque centre and the castle grounds and if you wish we can also visit the castle interiors. There will be time for lunch and shopping as well. 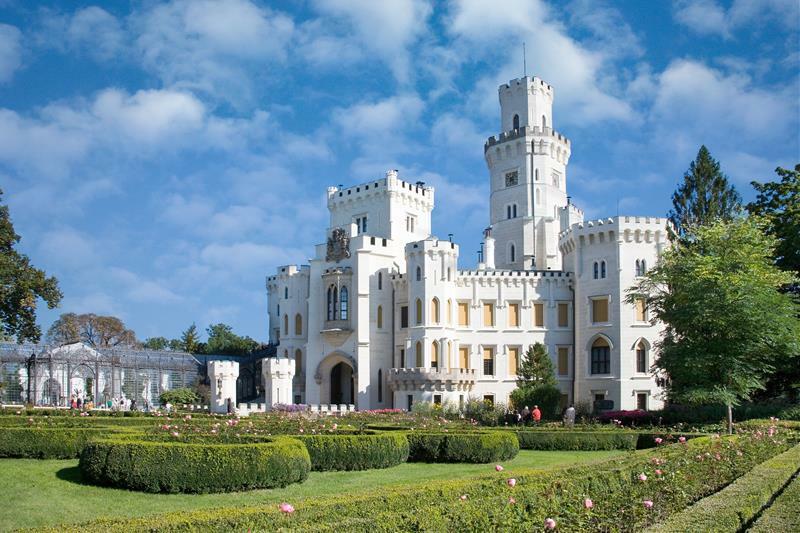 Hluboká Castle is one of the most beautiful castles in Bohemia. 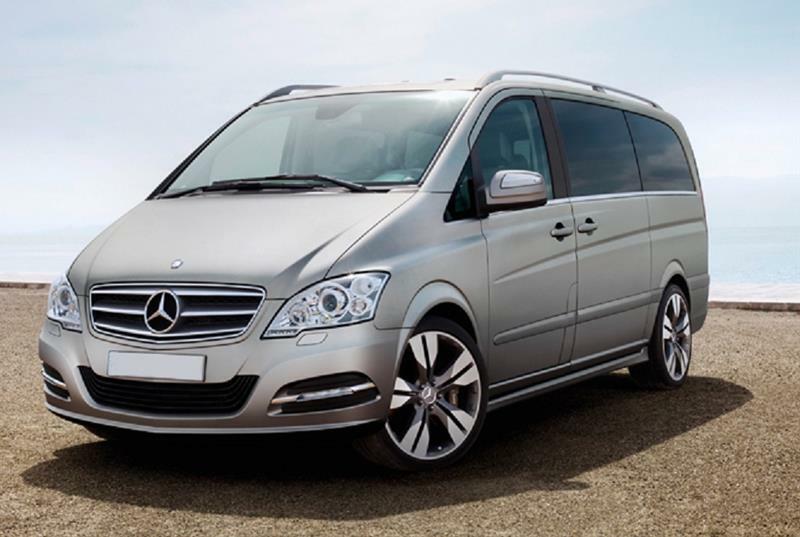 We will drive through the scenic countryside with numerous ponds and romantic little villages. 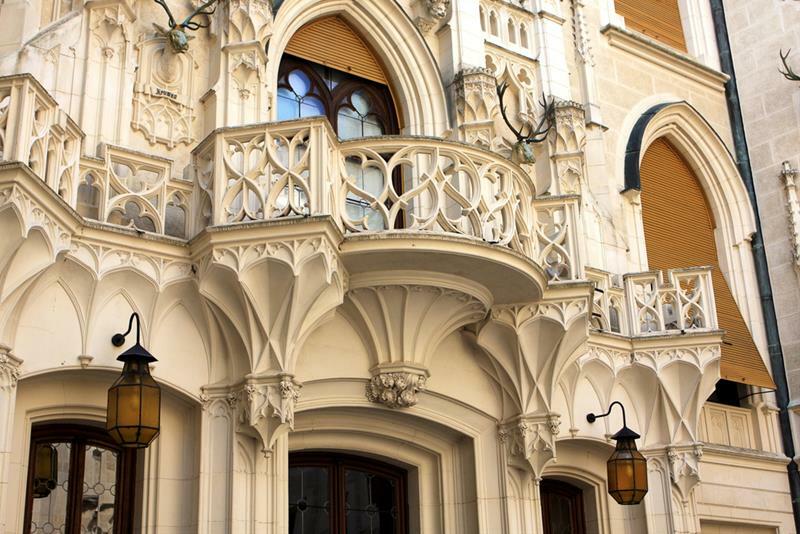 You might also want to see the Hluboká Castle´s interiors as well - since this is YOUR private tour, the guide is very open to adapt this tour according to your wishes. 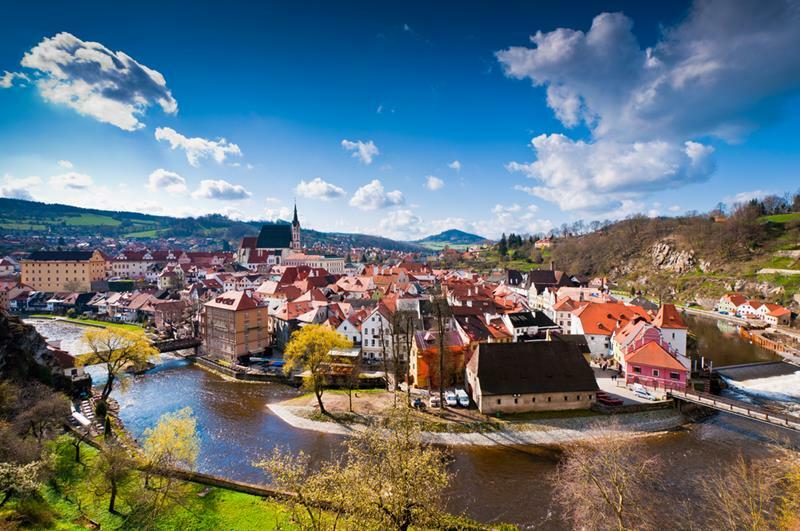 To visit Český Krumlov only, click here and check the tour schedule. 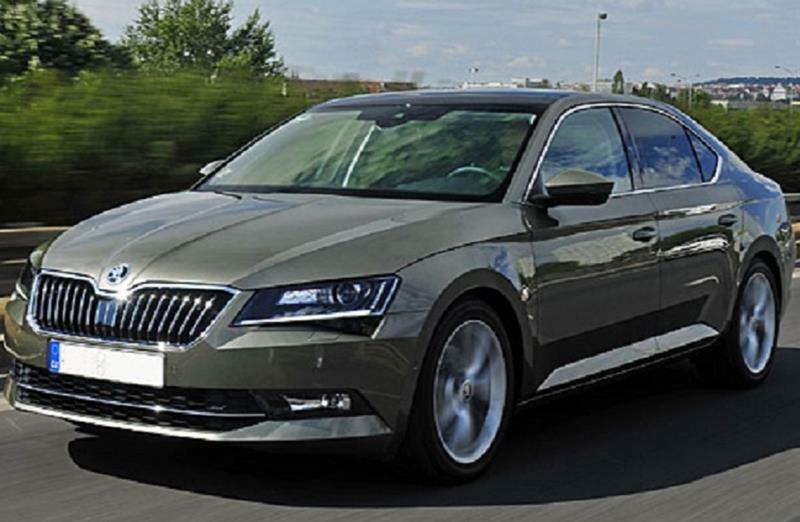 Complete list of tours in Prague and outside of Prague. The Hluboká Castle is located in the South part of Bohemia. 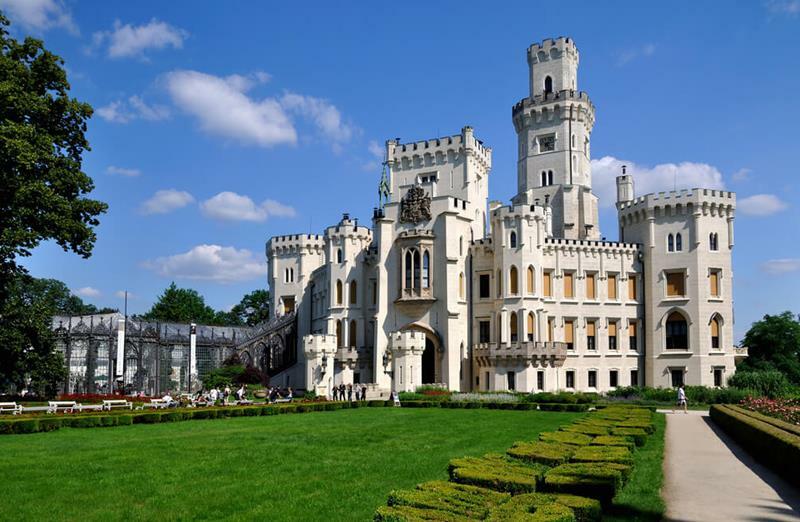 Originally a Gothic style castle was founded in the 13th century by Bohemian kings as a military fortification. Over the centuries it has been restored several times. In the 19th century, the castle was completely rebuilt in the Neo-Gothic architecure style inspired by the Winsdor Castle in England. 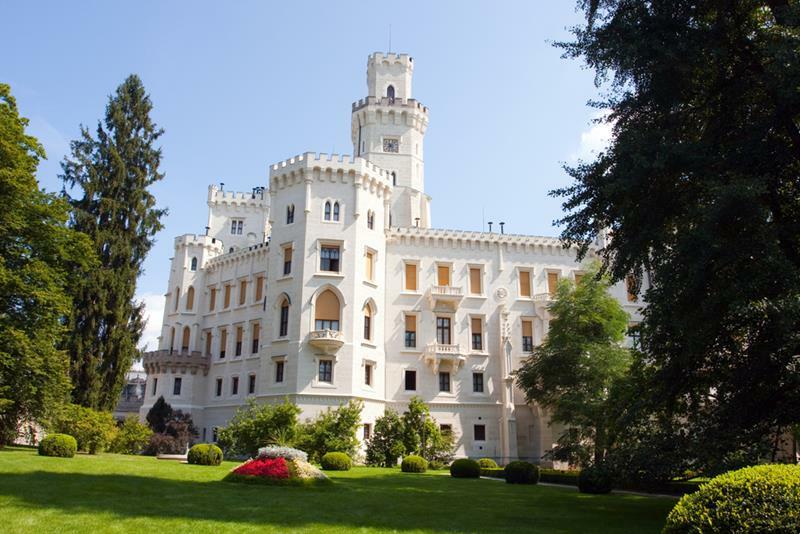 The Schwanzerbergs (aristocratic family tracing their roots to the Middle Ages) lived at the castle until 1939, then the last owner fled the country to escape from the Nazis. The castle is now a National Cultural Monument of the Czech Republic. The castle has 140 rooms and 11 towers. You might have a peak inside the private rooms as well as grand ceremonial halls or you might want to visit the castle kitchen with lots of kitchen equipment preserved from the late 18th till the beginning of the 20th century. If you are into tapestry, we recommend to check the collection (the biggest in Europe) of the unique Flemish tapestries. A book lover? The castle´s library contains of over 12 000 books and a spectacular Baroque fire place. If you visit the armory, you will be treated to the collection of weapons from the 13th until the 19th century. Before, during or after the tour feel free to take a walk in the beautifully kept English - style park (190 hectares).